The iScope is available in various configurations suitable for life and biomedical Sciences, schools, universities but also for routine medical applications. Besides the brightfield contrast method, configurations for phase contrast, cardioid mirror dark field, basic polarization and several epi-illumination sources for fluorescence applications can be used. 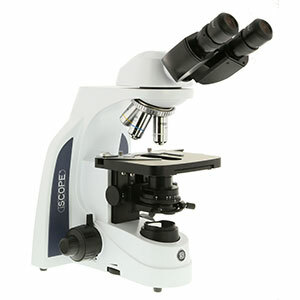 iScope models with multiheads are also available for teaching purposes.